I live over the road from Holloway Prison. But Holloway Prison is no longer a prison. The last of the inmates escaped last year. When I say “Escaped” I mean “were transfered to other, hopefully better, prisons”. And it’s the government’s intention to sell the land to developers, basically. I can see an argument for screwing that nonsense and instead the state borrowing money at the unbelievably low rate it can borrow right now and using that cash to develop the site itself. In fact, I’d support that, most likely. That would be what I would do if I were in charge. Invest in the state, so the state doesn’t have to austeritize all the time. But that’s not even in the Overton window really. It’s not even on the table. Given that, their report ( https://www.islington.gov.uk/~/media/sharepoint-lists/public-records/planningandbuildingcontrol/publicity/publicconsultation/20162017/20170227hollowayprisondiscussionpaperforconsultation1.pdf ) is pretty good actually. Mentions the need for more public open space in the borough, the need for more accessible housing, the conservation areas surrounding the prison and even my favorite band practice studio the Islington Arts Factory. The church-and-spire-ness of which, at least, should be considered, they reckon. It uses the term “Essential Social Infrastructure”, which feels like a term of reference but I can find no succinct definition of what that really means. They even wonder if there should be some sort of women-prisoners center there, or some other things to reflect the area’s past as a women’s jail. It seem that the whole of Islington has a Car-Free policy, which means no new parking spaces at all, and no new residential parking permits. That sounds pretty good too. 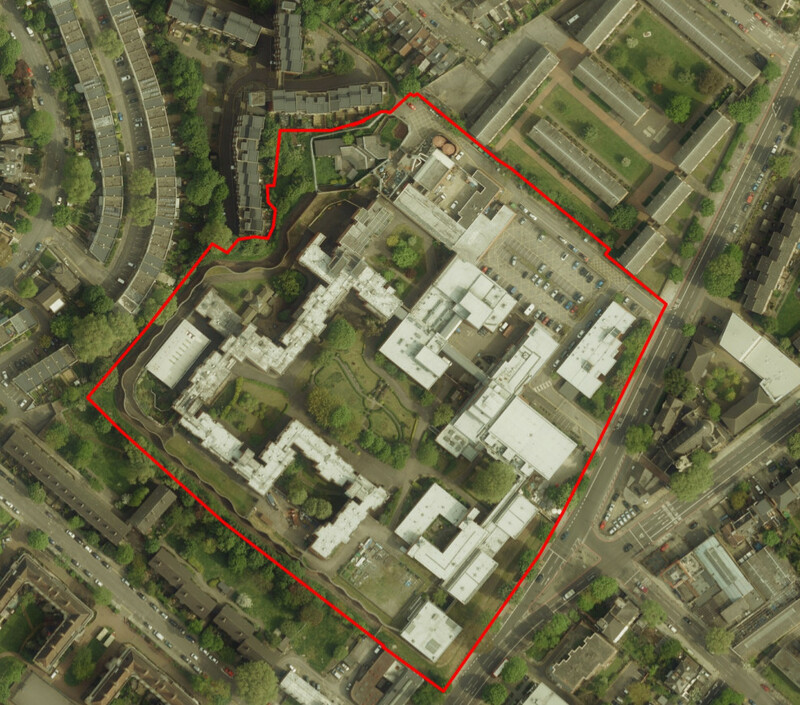 The obvious plan to me would be to the keep the central exercise/park bit, add a plaque about the old jail, and turn the rest into some mix or another of social housing and private housing. Ideally throw in some “essential social infrastructure” and don’t screw up the skyline. I did so, mostly just to get on the mail-list. Though to be honest: It seems like the council are doing a pretty good job so far, given the constraints from central government that they can’t build a socialist co-op utopia or whatever.